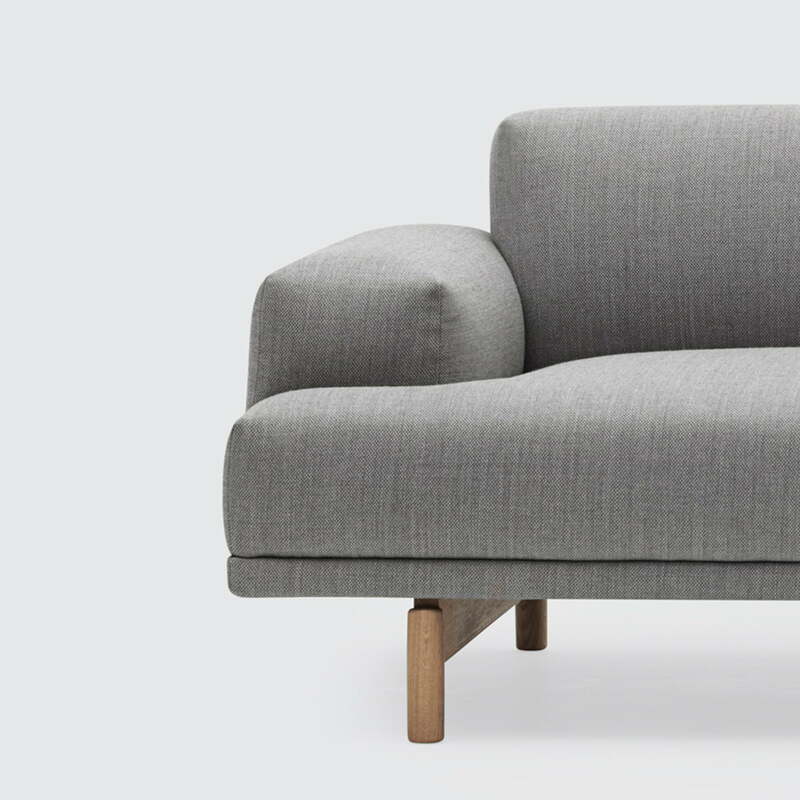 The Compose sofa was designed by the well-known Norwegian designers Anderssen & Voll for Muuto. The designers themselves say that it is comparable with a sculptural study, to combine the basic components of a sofa - seat, back and armrests - the way to form a comfortable and equally attractive design object. The result is a sofa that with an additional depth of the seat and the flat armrests offers more space and invites you to relax. The light look in turn is given to the sofa not least by the high-quality crafted legs. This way, it upgrades the living space perfectly, without looking too heavy. The frame of the sofa is a stable, durable steel construction in combination with plywood. The upholstery is made of cold foam and feathers and covered with high quality Kvadrat fabrics. All cushions are sewn by hand. The legs are made of solid oak wood. 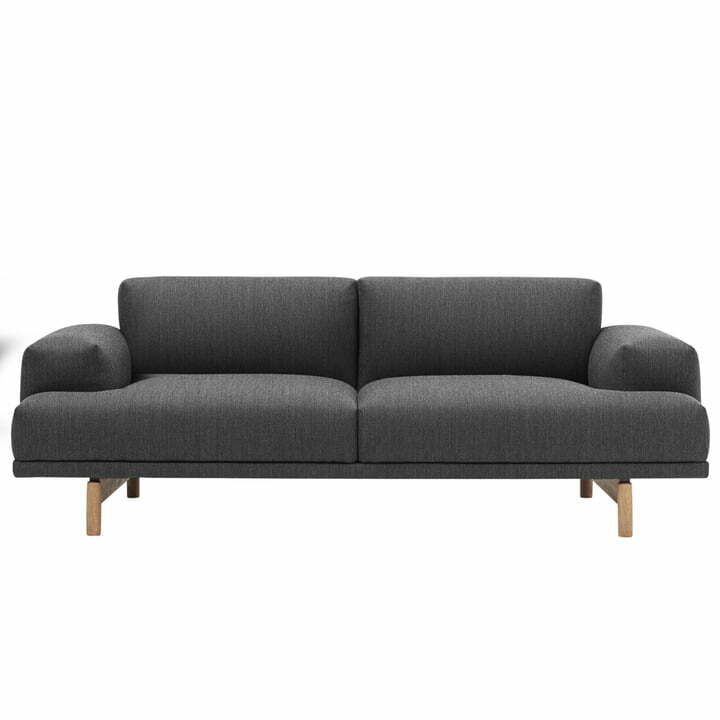 The sofa is available as a 2-seater and 3-seater, with black legs and oak legs and with different fabrics. Individual product image of the Compose sofa as a 2-seater with Vancouver 13 fabric by Muuto. A comfortable sofa and equally attractive design object. 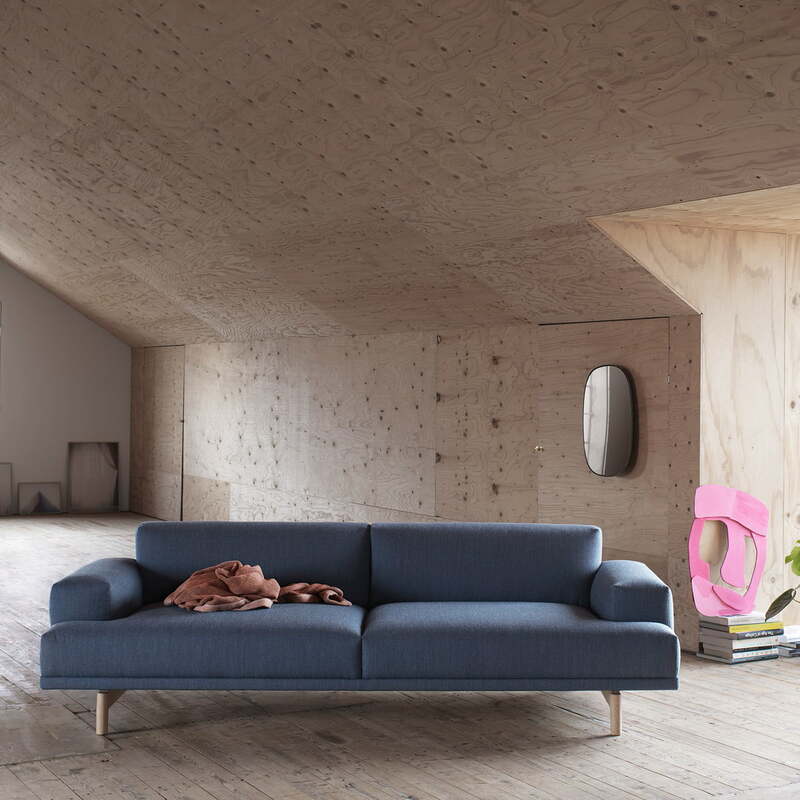 The Compose sofa as a 2-seater sofa with the fabric Vancouver 13 by Kvadrat in the ambience picture. The straight lined sofa with legs made of oak fits harmoniously in the natural living environment. Detail view of the Compose sofa. The great depth of the seat surface and the flat armrests provide sufficient room to relax. Here with the upholstery fabric Remix 123 in grey.